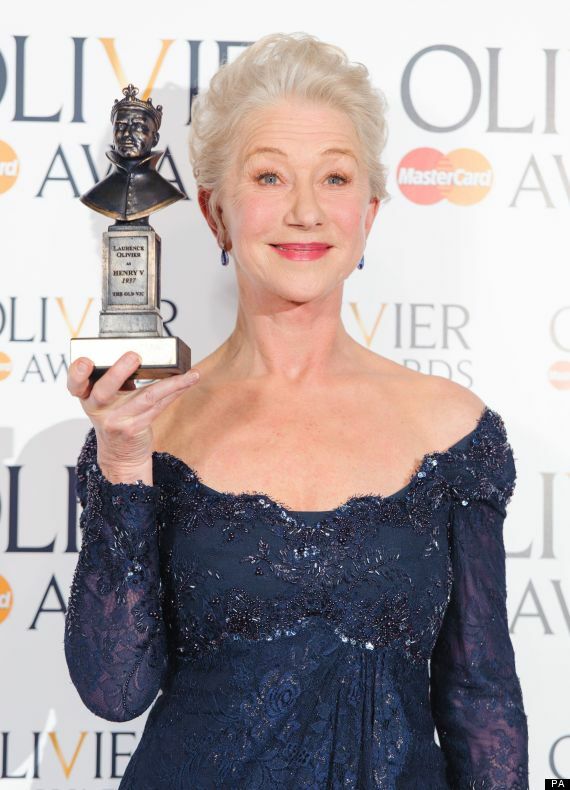 So the Olivier Awards have been and gone for another year, and as a result what have we have learnt the state of theatre – London theatre, sorry to anyone reading further afield but it is a very parochial affair – in 2013. Well their own website leads with ‘A curious night at the Olivier’s’, which rather sums it up for me. It was a list of winners that doesn’t reflect the experiences of this website’s year in theatre. To look at those celebrating last night would be to imagine a rather staid and conservative theatre scene. However there has been a vitality and verve to theatre – witness the excitement over Punchdrunk announcements, tickets to see Branagh’s Macbeth selling out in less than 10 minutes in Manchester or new plays by young playwrights that embraced quantum theory (Payne), neuroscience (Prebble) or a play that covers everything and nothing in eighty minutes (Butterworth) – that is broadly absent from the list of winners. Perhaps this could have been guessed at by looking at a nominations list where Lucy Prebble’s The Effect was almost shut out and where the Best New Play category included just one play not reflecting on historical events or retooling an existing story for the stage. One may argue that last year’s big winner – Matilda – is hardly a broadside against conservatism. However Matilda was the first time anything had walked home with seven awards and it was deservedly seen as a stunning achievement and that a brilliant production had been rewarded for managing the rare feat of capturing hearts, minds and wallets of critics and the public alike. It does rather undermine the perceived value of the achievement if the next year we see another play walk-off with exactly the same number. Whilst critics have warmly received ‘A Curious Incident…’ and the public continue to throng through the doors, it does not seem to have reached the groundswell of public love and critical affirmation that marked the success of Matilda – which swept everything before it and which was the must-see performance from its very first outing in Stratford. 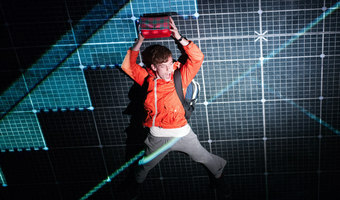 It is clear A Curious Incident… is good but is it seven awards good? Is it so good that we feel happy that the ‘A Dolls House’ at the Young Vic, ‘Constellations’, ‘This House’ and Complicite’s ‘Master and Margarita’ walk away with nothing? And when we talk about magnificent interpretations of novels, how did the adaptation of Bulgakov’s impossible Master and Margarita not even get a mention? The problem with placing so much attention on just three productions – A Curious Incident, The Audience and Sweeney Todd – is that it doesn’t even remotely capture the spectrum of success of what has been, in all honesty, a relatively mediocre year for theatre in London. The success of The Audience has more than a little of a smattering of one eye on the need to reward the private sector for at least trying a new play, and a more cynical person may suggest that the value of the international market may have had a role to play. Helen Mirren as Best Actress? She might have won it for her awards speech more than the actual part. It was a pleasure to see Nicola Walker win for ‘A Curious Incident’, a stalwart of TV and of downtrodden wives and mothers everywhere, and without having seen the production it is hard to imagine a more perfect piece of casting for the mother of the 15-yr old lead. Equally commentary seems satisfied with the victory of Luke Treadaway in the role; a part that is catnip for award judges, as it is basically the modern day answer to the ‘idiot savant’ – something that is a little bit out-of-kilter with modern understandings of mental health. As usual it was a strong year and personally a win for Rupert Everett would not have been amiss but Treadaway seems deserving of the accolades. With an equally impressive set and technical team it suddenly becomes easier to count up those seven awards. However the Complicite team can feel short-changed not to have picked up a single technical award for their visually stunning take on Bulgakov’s masterpiece. As usual it is mind-boggling that Cheek By Jowl were not nominated for anything – despite the Barbican being a home from home. Everyone on the Best New Play shortlist can feel hard done by for losing out to something that restaged an existing story – surely there are so many adaptations that this can be a separate category. And ‘Long Day’s Journey into Night’ Best Revival – a truly interminable evening that deserved nothing and for which the praise of critics from every quarter is something that is genuinely unfathomable, even the cast – Suchet, Metcalfe, Soller, all usually so excellent – were dire. If this year’s Olivier Awards has proved anything to me, it is that this was not a stand-out year for British Theatre; that this reviewer has, Sweeney Todd excepted, has missed most major plays of the year; and that the Donmar needs to re-establish its identity with great haste. A lot of attention has come Josie Rourke’s way and so far the response has been muted at best – where is this year’s Inadmissible Evidence or Anna Christie?